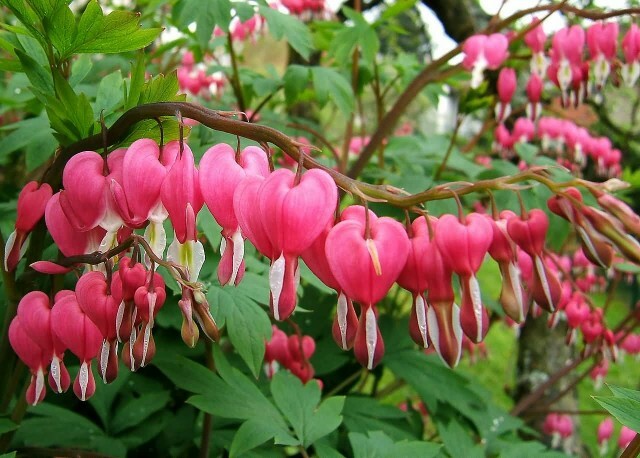 Bleeding heart is a species of flowering plant in the poppy family Papaveraceae. 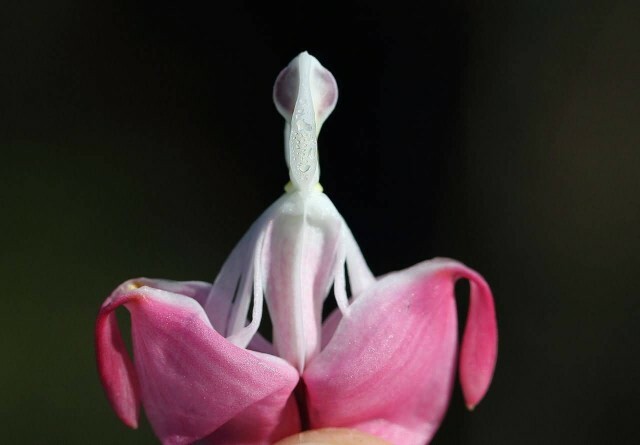 These are found in Siberia, northern China, Korea and Japan. 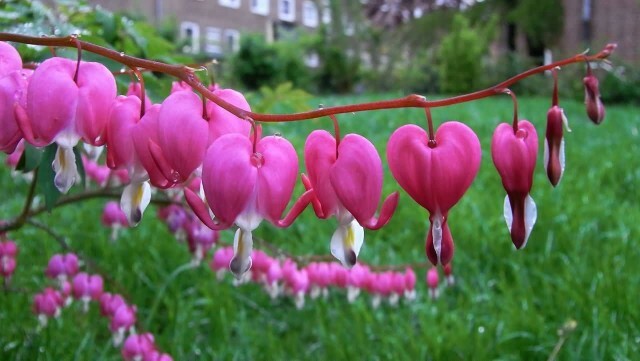 It is valued in gardens and in floristry for its heart-shaped pink and white flowers and these are borne in spring. The common names are “Dutchman’s breeches”, “lyre flower” and “lady-in-a-bath”. These flowers are growing to 120 cm tall and 45 cm wide. First plants specimens were introduced into England in the 1840s from Japan by the Scottish botanist and plant hunter Robert Fortune. In a moist and cool climate, it will grow in full sun, but in warmer and drier climates it requires some shade.